Kitchen knife, chef's knife. Quality French manufacture. Bird´s beak knife with a 7.5 cm stainless steel blade for paring, creating zig-zags or sculpting vegetables. Paring knife with a 9.5 cm blade, the most commonly used kitchen knife. Chef´s kitchen knife with a 15 cm blade. Stainless steel blade. Made in France. Multi-purpose chef´s kitchen knife with a 20 cm blade. Stainless steel blade. Made in France. Chef´s kitchen knife with a 15 cm blade. For chopping, cutting and slicing large pieces. Stainless steel blade. Made in France. Chef´s kitchen knife with a 30 cm blade. Stainless steel blade. Made in France. Carving knife measuring 20 cm for carving roasts and poultry. Boning knife with a 12.5 cm blade for preparing and boning meat. 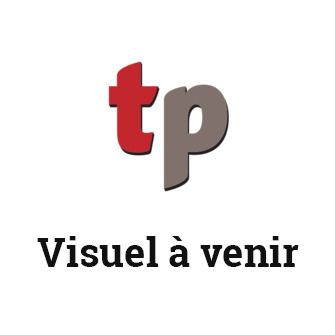 Tranchelard knife 20 cm. For removing bacon rind and slicing bacon and pork belly. Tranchelard knife 25 cm. For removing bacon rind and slicing bacon and pork belly. 23 cm chef´s fork in wrought steel. 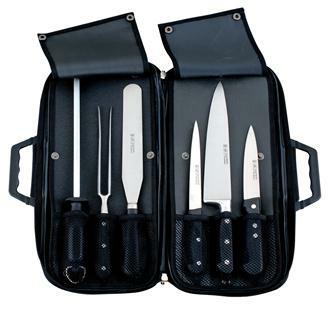 Chef´s knife pouch, a set of 6 chef´s knives in a pouch. 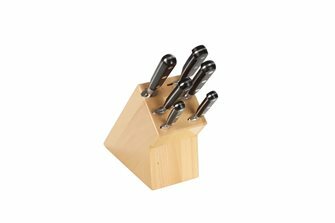 Presentation block in solid beech wood with 5 wrought steel knives and a sharpening stone. 20 cm carving knife with chef´s fork measuring 23 cm . Blade and fork in wrought stainless steel. 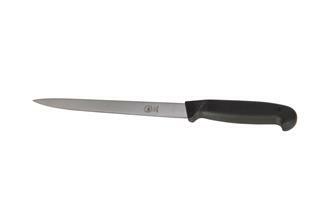 Kitchen carving knife with a 14 cm blade and polypropylene handle. 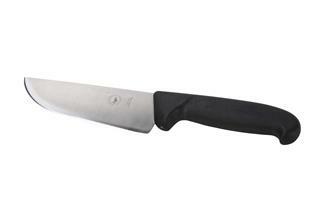 Kitchen carving knife with a 16 cm blade and polypropylene handle. 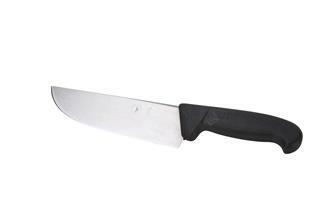 Kitchen carving knife with a 18 cm blade and polypropylene handle. 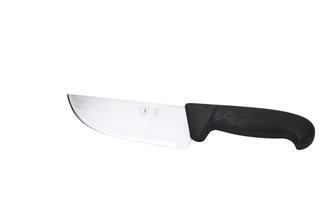 Kitchen carving knife with a 20 cm blade and polypropylene handle.